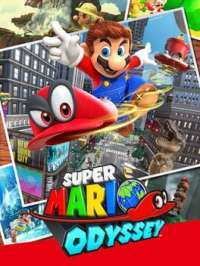 Ive seen videos of guys getting to secret areas by jumping on the hat in order to get like a double jump or a jump boost in Super Mario Odyssey. Whenever I throw my hat at a wall it comes back to me right away before I get the chance to jump on it. Do I need to unlock a different type of hat or something? This is an ability you should have from the start. I only discovered it while travelling between kingdoms. You need to throw your hat and hold onto the button rather than letting go. If you keep holding the attack button after throwing your hat, it will stay grinding against a wall. You will then be able to jump on top of it and get the jump boost like you have seen in the videos.